Picking Cotton: Our Memoir of Injustice and Redemption. 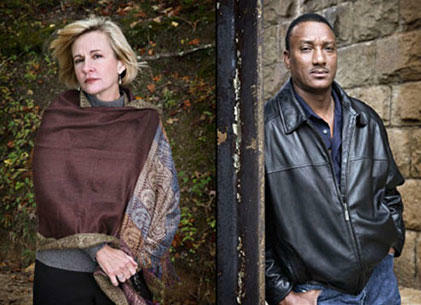 Jennifer Thompson & Ronald Cotton. Leadership Lecture Series, Tuesday, February 21. UNCW Burney Center, 7:00pm. Jennifer Thompson and Ronald Cotton will be in Wilmington on Tuesday, February 21st, giving a lecture as part of UNCW's Leadership Lecture Series. The lecture is at 7:00pm at the Burney Center; tickets are available at Sharkey's Box Office or online. There are additional events about the issues raised by the book at UNCW; see more here.